Marius Valdes is an illustrator, designer, and artist currently based in Columbia, South Carolina. He is an Associate Professor in studio art concentrating on design and illustration. Valdes received his BFA in Graphic Design from the University of Georgia in 1998 and his MFA in Visual Communication from Virginia Commonwealth University in 2005. Since 2007 Marius Valdes and his former company, Zoo Valdes, have been recognized with awards from international and national competitions for creative professionals. He has won industry recognition for his graphic design and illustration work from renowned design publications such as HOW, Print, Communication Arts, Creative Quarterly, STEP, and industry competitions including The AIGA's InShow and SEED Awards, and The South Carolina Advertising Federation Addy Awards in Charleston, Columbia, and Greenville. Hey Doodlers! I'm Ashlyn Murphy I am a senior in the Graphic Design program here at the University of South Carolina. I am from a military family so I come from all over, but I call Bluffton, South Carolina my home. I am super excited to bring this piece to life with Marius Valdes and the rest of our team along with the help of all of you! Sarah is an avid drawer and glitter enthusiast. 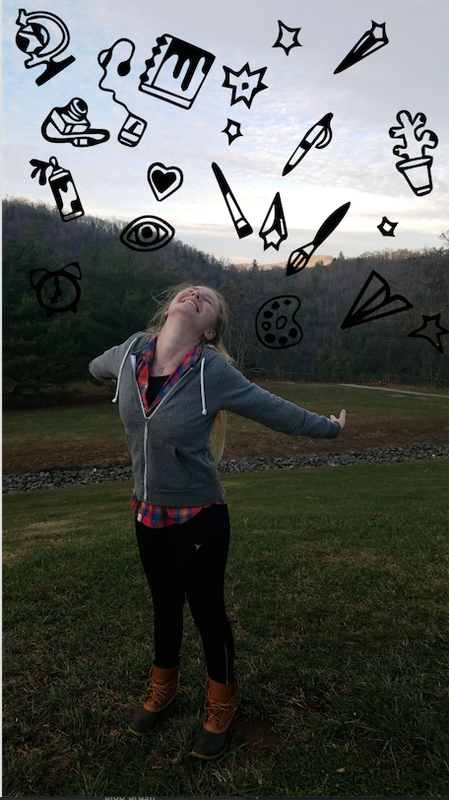 She loves all things illustration and water colors. When not creating art she can be found dancing crazily and riding unicorns. Alex is an upper level design and computer science student at the University of South Carolina. He has a strong interest in public art and has painted multiple large scale commission paintings. He hopes to pursue a career in web/app design and public art installations.